The Armenian diaspora, one of the world’s classic diasporas, has dispersed around the world in a series of migration waves over the centuries. In recent years, the promise of diaspora has gained prominence globally as a policy tool for social and economic development. This is true particularly for Armenia where the diaspora, which significantly exceeds the country’s resident population, has seen intensifying engagement in the two decades since independence in 1991. Globally, diaspora-led activities often meet with frustration as home-country governments lament unrealized potential and lost opportunities. This stems from innate divergent characteristics and motivations among widespread diaspora communities as well as the expectations of in-country actors for involvement with the homeland. Armenia is no exception. 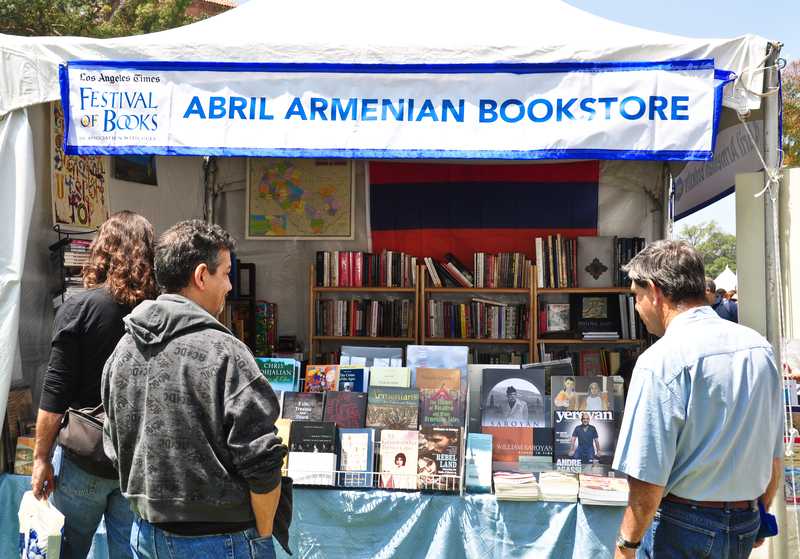 Often seen from the outside as a unified entity, the Armenian diaspora is quite diverse, with ideological and motivational breaks along geographic (both in terms of origins and destinations) and historical lines. Perceived inefficiencies in diaspora-led development in Armenia often arise from the split between the “old” diaspora (formed prior to independence in 1991) and the “new” post-independence diasporic entities. Even as the Armenian government has established a Ministry of Diaspora and instituted a comprehensive policy to capture the development potential of its far-flung population, the diaspora’s efforts have remained dispersed. Diaspora engagement is a critical element, however, in Armenia’s ongoing socioeconomic development. The history of the Armenian nation is a history of migrations, some voluntary but more often forced by external aggression. In very broad strokes, formation of the modern Armenian diaspora can be explained by four historical migration waves. The first migration wave extends from antiquity to the turn of the 20th century. Over time, Armenian communities appeared across a wide geographical stretch from the ancient Egyptian, Greek, Roman, Persian, and Byzantine empires, to Europe, the Americas, and Russia. Ancient Armenian communities often adapted well to their host countries, excelling in crafts, commerce, and education, and often rising in prominence in the arts, as military commanders, and even as emperors. The diaspora extended its scope as successive generations of Armenian craftsmen, diplomats, and merchants from London to Genoa and St. Petersburg engaged with the world. The second migration wave jolted the diaspora from a focus on integration in the host country to an active political and economic engagement in the homeland. In the aftermath of the 1915 Armenian genocide during which an estimated 1.5 million Armenians died, hundreds of thousands of survivors scattered around the world, adding new dimensions to existing Armenian communities in the Caucasus, the Middle East, Europe, and Russia. Others established new settlements in the region or travelled to Africa (significantly Ethiopia), the United States, Canada, and Latin America. Much of this migration consisted of individuals who self-identified with the region known as Western Armenia—much of which was ceded to Turkey in the 1920s—solidifying what has become known as the Western Armenian diaspora. The third wave—from World War II to independence in 1991—saw movements on a lesser scale. Following the end of the war, Soviet authorities appealed to diaspora Armenians in France, the Middle East, and Iran, inviting repatriation to Soviet Armenia. Driven by demographic desires to boost Armenia’s population, Soviet policy resulted in the repatriation of nearly 100,000 diasporans, mostly from the Middle East and France, in the immediate postwar period. Another 32,000 mostly high-skilled professionals moved to Armenia between the late 1960s to the early 1980s. Some such repatriates, unable to adjust to the new environment, soon left Soviet Armenia. In the 1970s, fleeing political conflicts in Iran and the Middle East, tens of thousands of the Armenian diaspora in those countries were on the move again, this time primarily swelling communities in the Americas and Western Europe. The fourth wave encapsulates large-scale migration from the Republic of Armenia since 1991. Amid instability caused by the fall of the Soviet Union, a humanitarian crisis erupted in Armenia as conflict with Azerbaijan over the Nagorno-Karabakh region intensified and Turkey imposed a blockade. Hundreds of thousands of Armenian refugees from the contested territory poured into Armenia, with the majority then emigrating in the early 1990s to Russia and the United States. In the years since, emigration has been driven largely by economic motivations, with the rising phenomenon of temporary labor migration comprised mainly of low-skilled Eastern Armenians traveling to Russia and other former Soviet states. More recently, high-skilled migration has also begun to increase, mostly directed to the United States and Europe, even as stronger business connections with Russia have emerged. The new migrants often integrate into established Armenian societies in the host countries, re-energizing communities whose sense of Armenian nationhood is rooted in the notion of postgenocide survival and who have only a vague connection to present-day Armenia. This final wave also includes resettlement of refugees from the “old” Armenian communities in Iraq and Syria forced to leave by the recent military conflicts. While some have joined established communities in Europe and North America, for many, the destination of first choice has been Armenia, which offers a broad scope of integration measures. There is no accurate Armenian diaspora census. The Armenian government estimates there are roughly 8-10 million ethnic Armenians worldwide, and about 6 million live outside the Republic of Armenia. Historically and due to proximity, the largest cluster is in Russia (estimated between 1.2 million and 2.5 million Armenians) with recent labor migrants raising the numbers of established communities. The United States and Canada (estimates range from 550,000 to 1.5 million collectively) and Europe (with France home to approximately 400,000 to 750,000 ethnic Armenians) are the next largest clusters, with smaller groups dispersed across the former Soviet Union, Iran, Australia, and Latin America. The diaspora’s engagement with Armenia to date offers a disparate and contradictory picture. The massive migration of the second wave in the early 20th century led to activist efforts to maintain Armenian identity and lobby host governments on behalf of new communities. Despite a plethora of cultural, educational, and political organizations established since the early 1920s in the Western diaspora, particularly among Western Armenians, there was little practical involvement with the homeland until Armenia’s 1991 independence. This could partially be due to language differences between Eastern and Western Armenians, limited contacts with closed Soviet Armenia, or postgenocide survival overshadowing other concerns, as well as divisions along ideological lines over accepting the Soviet regime as a legitimate representative of the Armenian nation. Moreover, the Republic of Armenia established after the Soviet Union’s fall represented only a fraction of the former Armenian geography to which much of the diaspora related—lands that are now part of Turkey—a critical factor in understanding today’s “old” versus “new” diaspora split. Despite rapidly transitioning to a market economy and posting double-digit growth in the early 2000s, Armenia has seen its growth decline in the postcrisis period to a rate of 4 percent. There is no lack of macroeconomic or institutional reasons for the county’s current modest growth: Armenia is a small, landlocked, postsocialist, undiversified economy with minimal financial deepening still undergoing transformation. While much has been made of the potential of the Armenian diaspora to support the country’s development, the form diaspora engagement takes in Armenia is largely shaped by the wave of emigration to which the individual belongs. The first three waves, as well as recent resettlement from Iraq and Syria, comprise what is known as the “old” diaspora. A typical representative of the old or early diaspora is a relatively established and integrated citizen of the host country, seen in the phenomenon of hyphenated identities, such as American-Armenian, Russian-Armenian, or Syrian-Armenian. Large in size, this group is likely to be more financially secure with a greater share of representatives engaged in higher skilled professional activities compared to most new diaspora members. A heterogeneous entity, the old diaspora encompasses a plurality of voices and agendas. Political and ideological differences in the Western diaspora led to the formation of competing organizations, such as the Armenian Assembly of America (AAA) and the Armenian National Committee of America (ANCA), that lobby the Armenian and host-country governments on issues including peaceful resolution of Nagorno-Karabakh’s status and recognition of the 1915 genocide. Among the old Armenian diaspora in Russia and the countries of the Commonwealth of Independent States (CIS), however, there was little political organization or community mobilization, perhaps due to members’ more direct links and knowledge of realities in the homeland and lack of self-identification as diaspora. Old diaspora engagement includes a wide range of activities (as discussed in more detail below) including trade, tourism, philanthropy, and political lobbying. Since the 1990s this involvement has been instrumental in creating new, often transnational, enterprises and securing foreign direct investment (FDI). In contrast, the new diaspora is typically comprised of recent emigrants from the Republic of Armenia. Two trends are important: 1) sustained migration of low-skilled temporary workers from Armenia’s rural areas (mostly to Russia and former Soviet countries), and 2) high-skilled migration to Russia’s urban centers, and more recently, through intra-company transfers to U.S.-, UK- or EU-based firms. Less-skilled Armenian labor migrants to Russia and the CIS are typically less financially stable and still adapting culturally and economically to the new host-country environment. New diaspora engagement mainly takes the form of household-level assistance, including monetary transfers and nonmonetary support. New diasporans also participate, though in a less systematic way, in fundraising for local Armenian communities or humanitarian funds. Given their recent memory of and direct connection with the ancestral land, the new diaspora might appear to be more in tune with the immediate needs of their compatriots in Armenia. Yet, paradoxically, the new diaspora might lack the resolve for active engagement in large-scale development projects, as immediate concerns over host-country adaptation and providing for family overshadow any humanitarian initiatives in which early diaspora members are more actively involved. There is a significant degree of overlap in the definitions of the old and the new diaspora in terms of their growing involvement with Armenia. Increasingly, recent emigrants from Armenia actively join the community-based organizations of the old diaspora (in the West) or form new groups and coordinate with the old diaspora (as in the CIS). Yet, prompted by the history of migrations, differences in diaspora involvement and priorities are accentuated by the age of the Armenian diaspora, levels of affluence, relative status in destination countries, and, by extension, in the ideals, goals, and perceptions of engagement with the ancestral home. Over the past two decades, this structural trend resulted in larger-scale investment projects originating in diaspora organizations in the West, while the diaspora in former Soviet countries played an important role in establishing a range of companies in Armenia’s trade, tourism, and financial sectors. Moreover, the old diaspora in the post-Soviet countries has been effective in providing employment for Armenia’s temporary labor migrants. A devastating earthquake in 1988 and Armenia’s 1991 independence marked a turning point in diaspora engagement. Many diaspora members welcomed Armenia’s independence and subsequently led wide-scale development efforts as the tiny postsocialist nation’s living standards collapsed and security concerns resurfaced. The Western diaspora mobilized its community organizations to support the launch of numerous schools, medical centers, infrastructure projects, and volunteer opportunities, as well as lobbying in support of the new democracy. In 1992, the new government launched the Hayastan All-Armenia Fund to help channel diaspora financial contributions to development projects. Since independence, the Armenian government, recognizing the potential of its politically active diaspora, has made a point of developing institutions and structures to formally engage the diaspora. Differences in policy priorities between the government and some diaspora organizations, and inefficiencies in the engagement strategy, however, have led to asymmetry in stated goals and implementation on the ground. Yet over time, the engagement has expanded. Newly formed groups in the old diaspora, solely focused on engagement with Armenia, have actively contributed to the country’s social and economic development. And the government has continued to promote collaboration and adjust its policies to capture the diaspora potential. Following macroeconomic stabilization in the late 1990s, diaspora members began to invest in Armenia’s business projects. As part of the market-transition package of the mid-1990s, the government launched a privatization process of state-owned enterprises. By 1999, privatization receipts accounted for more than half of FDI inflows, largely fueled by diaspora Armenians or firms in which they played an executive role. Between 1994 and 2004, an estimated 69 percent of all foreign investors in the Armenian economy were diaspora-connected. The three largest origin countries were Russia, the United States, and Iran, and investments were concentrated in the tourism, information and communications technology (ICT), gems and jewelry, food processing, apparel, and construction sectors. Diaspora individuals were instrumental in attracting FDI in this period, particularly in connecting major multinational corporations such as Marriott, HSBC, and Microsoft to Armenia. As of 2009, 90 percent of companies with foreign investment were identified as diaspora-connected in a study published by the German Agency for International Cooperation (GIZ). Since 2000, the relationship between the old diaspora and Armenia has transformed from investments in Armenian companies and development projects from afar to increased interpersonal partnerships in the country. Examples of successful local and individual-led collaborations abound, with efforts in education, health care, civic society, sciences, culture, tourism, and politics. One avenue has been cultural immersion and identity construction, which has served to encourage repatriation and greater economic ties, with groups such as Armenian Volunteer Corp and Birthright Armenia offering travel and work opportunities in Armenia for individuals of Armenian descent. Individual business partnerships, often led by those who have repatriated or maintain transnational connections, cover a wide range of sectors from ICT (for example, the photo-editing mobile application PicsArt based in Yerevan and Los Angeles) to food, hospitality, tourism, and winemaking (the Zorah Karasi vineyard founded by an Italian diasporan is a notable example, ranking in Bloomberg’s 2012 Top Ten Wines). Diaspora entrepreneurs have also been instrumental in lobbying the Armenian and host-country governments for reforms or new treaties to increase opportunities for business investment. Despite these successes, more than two-thirds of diaspora Armenians who had invested in ventures in Armenia said they found the business climate unfavorable in the GIZ study, pointing to inefficient state administration, tax policy, and corruption as contributing factors. At the same time, 63 percent of respondents said ethnic identity or the opportunity to contribute to the development of the homeland was their primary motivation for investing in Armenia, and 90 percent said they were willing to accept lower return on investments to serve this cause. Of the two labor migration trends, low-skilled migration predominated until the early 2010s. Armenian labor migrants to Russia are mostly male and concentrated in the service and construction sectors. A significant minority of female labor migrants also found their way to the United States working mainly in domestic or child-care fields. Most labor migration flows from Armenia are irregular and temporary. In 2008, 94 percent of migrant workers were estimated to be temporary, marking a dramatic change from the early 1990s when emigration was primarily permanent. In 2001, the government drafted a Law on Regulation of Overseas Employment to ensure orderly departure and return and protect workers’ rights. Though modified several times since, it has yet to be adopted by Parliament, leaving much of the policy to be derived from practice and subsidiary legislation. As labor migration has increased so has growth in personal remittances received in Armenia through official and unofficial channels. Between 1995 and 2003, remittances fluctuated between 4 percent and 6 percent of Armenia’s gross domestic product (GDP). Remittances as a share of GDP began to climb in 2004 and in the 2011-15 period accounted for 17 percent to 20 percent of GDP, according to figures from the World Bank. The main remittance-sending country has been Russia, whose share increased from 72 percent in 2004 to 90 percent in 2011, while the U.S. share decreased from 14.5 percent to 3.7 percent over the same period, according to the Armenian central bank. Significantly, by 2006 up to 12 percent of Armenian households relied on a migrant’s support from abroad. As Russian ruble and U.S. dollar transfers swelled Armenia’s economy, the Central Bank of Armenia effectively maintained a dual-exchange target policy. The exchange rate stability has provided some degree of predictability to consumer markets as remittances helped elevate households, particularly in rural areas, out of poverty. On a broader scale, recently the new diaspora (mainly of early 1990s émigrés to Russia) has actively led larger philanthropic, educational, cultural, and infrastructure projects on par and in cooperation with the Western diaspora. With the growing ease of travel and expanding communication, younger generations of the new Eastern and Western diasporas have actively immersed in Armenian culture, taking on volunteer assignments or boosting tourism through regular vacations to Armenia. More substantially, perhaps, there is an increasing degree of cross-collaboration in the areas of scientific research and information technology between a mix of new and old diasporans with their counterparts in Armenia (for example, through Armenian Economic Association conferences and the Digital Pomegranate initiative). Finally, the inflow of Syrian-Armenian refugees has contributed to a rise in the country’s hospitality and service sectors, adding a unique flavor via new restaurants and small businesses in the capital city, Yerevan, and agricultural projects in rural areas. Armenia has long recognized the potential of its global diaspora and was an early practitioner of fostering closer relations, particularly in comparison to its neighbors, and given the diaspora’s active political participation since independence. The country is one of the few postsocialist economies to have adopted extensive policies and measures towards diaspora development and capacity building, seen in the 1994 Law on Foreign Investments. In 1998, the Armenian Development Agency (ADA) was established to promote FDI, exports, and provide complete services for foreign investors. To encourage diaspora-led development, the Ministry of Economy launched an “Open Doors” investment policy, one aspect of which has been to create free economic zones offering tax relief for companies operating within. The policy seeks to encourage foreign investment, create new jobs, and foment the industrial and technological development of the country. Furthermore, in 2007, the government amended the nationality law to accept dual citizenship and eased travel and residence requirements, allowing diaspora Armenians to reconnect with their homeland by participating in local elections if resident in the country and investing in land. More recently, dual-citizen entrepreneurs stand to gain from access to Russian markets—Armenia’s largest trading partner—on par terms with citizens of Eurasian Economic Union signatory nations. While the government has yet to provide exact numbers, anecdotal evidence suggests a growing popularity of the dual-citizenship provision among the diaspora. In 2008 a Ministry of Diaspora was established to actively promote initiatives for cooperation and rapprochement between the diaspora and Armenian citizens. These include an online news portal, annual forums and conferences (for example, the Armenian-Diaspora Economic Forum), repatriation programs, and cultural and sporting activities such as the Pan-Armenian Games. Much of the ministry’s work deals with minute issues of local bureaucracy, encouraging active involvement and visits, and maintaining the country’s strong appeal for new generations of affluent and high-skilled diasporans. Armenia’s most recent test came at the peak of the Syrian refugee crisis, as the country opened its doors to more than 17,000 refugees (mostly ethnic Armenians—descendants of the second migration wave). The diaspora has played a key role in funding the refugees’ resettlement through grassroots campaigns for the Syrian Armenian Relief Fund, raising close to $1.2 million. Furthermore, the Armenian government has offered free health insurance, scholarships, and a simplified naturalization and accelerated asylum procedure, as well as facilitating residence permits for Syrian-Armenian families intent on remaining in Armenia. The “adopt-a-family” project matches refugees with Armenian host families to help them integrate into Armenian society. Finally, the Armenian government has established a microcredit project with the United Nations High Commissioner for Refugees (UNHCR) to help refugee entrepreneurs. Despite these measures, diaspora mobilization remains below its potential and much more is yet to be achieved. The modern-day Republic of Armenia owes much of its survival to the resolve and perseverance of its citizens at home and abroad, but also to the diaspora’s early involvement following independence and ongoing grassroots development efforts. Likewise, emergence of the independent Armenian state re-energized dormant diaspora communities, evoking feelings of belonging and national identity among many stagnant community groups. The multiplier effects of diaspora-led FDI, technology transfers, philanthropy, tourism, political contributions, and cultural influences are significant and carry massive potential for the country’s development. However, the sporadic and isolated nature of diaspora-led efforts, and the top-level cultural focus of current government initiatives appear to be insufficient in pulling Armenia out of its lower-middle-income transition economy category. For Armenia, a picture emerges of divergent currents within the diaspora, often seen from above as a unified entity centered only on cultural survival. In addition to the old versus new split, there is a multitude of development models based on the diaspora’s geographical location and host-country institutions. Diversity of the historical background, a range of assimilation pressures, cultural and language differences between Western Armenians and Eastern Armenians, and differences in motivation for association with Armenia only intensify divisions within the diaspora across many angles. As such, this dispersion of the Armenian diaspora becomes a significant factor when assessing the diaspora’s potential in the country’s economic and political development. Diaspora-led development is thus characterized by a significant overlap of old and new diaspora engagement patterns with Armenia. It is tempting to perceive a lack of unity, demonstrated by the complex web of factional, political, business, and other divisions among expatriate communities. On one hand, such lack of unity pulls a brake on the locomotive of development and diaspora potential. On the other, dispersion seems to give rise to a more holistic and inclusive engagement between the diaspora and Armenia. In some ways the engagement may be stronger, as connections occur on the individual level and in niche sectors or industries, bypassing large organizational or interest group administrative apparatus. The success of such engagement assumes the continued intensity of mutual contacts, an accommodating institutional system in Armenia, and openness, interest, and motivation to cooperate and adapt within the diaspora. It follows that the diversity of interests within Armenia's diaspora is thus both the driver and the brake in the diaspora-country development dynamic. Aghanian, Denise. 2007. The Armenian Diaspora. Lanham, MD: University Press of America. Atamian, Luna and Haykaram Nahapetyan. 2016. Armenia and the Syrian Refugee Crisis. Huffington Post, March 2, 2016. Available Online. Balakian, Peter. 2003. The Burning Tigris: The Armenian Genocide and America’s Response. New York: HarperCollins Publishers. Boly, Amadou, Nicola D. Coniglio, Francesco Prota, and Adnan Seric. 2014. Diaspora Investments and Firm Export Performance in Selected sub-Saharan African Countries. World Development 59: 422-33. Bournoutian, George. 1994. A History of the Armenian People, Volume 2: 1500 A.D. to the Present. Costa Mesa, CA: Mazda Publishers. ---. 2003. A Concise History of the Armenian People. Costa Mesa, CA: Mazda Publishers. Brubaker, Rogers. 2005. The 'Diaspora' Diaspora. Ethnic and Racial Studies, Vol. 28 (1): 1-19. Cohen, Robin. 2008. Global Diasporas: An Introduction. New York: Routledge. Devillard, Alexandre. 2012. Labour Migration in Armenia: Existing Trends and Policy Options. Yerevan: International Organization for Migration (IOM). Available Online. EV Consulting. 2009. Armenia: Diaspora Assisted Growth. Yerevan: EV Consulting. Available Online. ---. 2011. Baseline Study: Current Situation of the Diaspora Connected FDIs in Armenia. Yerevan: German Agency for International Cooperation (GIZ). Available Online. Gevorkyan, Aleksandr V. 2011. Innovative Fiscal Policy and Economic Development in Transition Economies. Oxford: Routledge. ---. 2015. The Legends of the Caucasus: Economic Transformation of Armenia and Georgia. International Business Review 24 (6): 1009–24. Gevorkyan, Aleksandr V. and Arkady V. Gevorkyan. 2010. Factoring Turbulence Out: Diaspora Regulatory Mechanism and Migration Development Bank. International Migration 50 (1): 96-112. Gevorkyan, Aleksandr V. and David A. Grigorian. 2003. Armenia and Its Diaspora: Is There Scope for a Stronger Economic Link? Armenian Forum 3 (2): 1–35. Gevorkyan, Aleksandr V. and Otaviano Canuto. 2015. Toward a Migration Development Bank for Transition Economies. Huffington Post, June 2, 2015. Available Online. Gevorkyan, Aleksandr V., Arkady V. Gevorkyan, and Karine Mashuryan. 2008. Little Job Growth Makes Labor Migration and Remittances the Norm in Post-Soviet Armenia. Migration Information Source, March 17, 2008. Available Online. Heleniak, Tim. 2013. Diasporas and Development in Post-Communist Eurasia. Migration Information Source, June 28, 2013. Available Online. Hovannisian, Richard. 1997. The Armenian People From Ancient To Modern Times. New York: St. Martin's Press. Ketkar, Suhas and Dilip Ratha. 2010. Diaspora Bonds: Tapping the Diaspora During Difficult Times. Journal of International Commerce, Economics and Policy 1 (2): 251–63. McGregor, JoAnn A. 2014. Sentimentality or Speculation? Diaspora Investment, Crisis Economies and Urban Transformation. Geoforum 56: 172-81. Mendoza, Dovelyn R. and Kathleen Newland. 2012. Developing a Road Map for Engaging Diasporas in Development: A Handbook for Policymakers and Practitioners in Home and Host Countries. Washington, D.C.: Migration Policy Institute. Available Online. Ministry of Diaspora of the Republic of Armenia. N.d. Dual Citizenship. Accessed March 10, 2016. Available Online. ---. N.d. Investment Policy. Accessed March 10, 2016. Available Online. Minoian, Victoria and Lev Freinkman. 2004. Diaspora’s Contribution to Armenia’s Economic Development: What Drives the First Movers and How Their Efforts Could be Scaled Up? Washington, DC: The World Bank. Available Online. Newland, Kathleen, ed. 2010. Diasporas: New Partners in Global Development. Washington, D.C.: Migration Policy Institute. Available Online. Newland, Kathleen and Erin Patrick. 2004. Beyond Remittances: The Role of Diaspora in Poverty Reduction in their Countries of Origin. Washington, D.C.: Migration Policy Institute. Available Online. Policy Forum Armenia (PFA). 2010. Armenia-Diaspora Relations: 20 Years Since Independence. Yerevan: PFA. Available Online. Ratha, Dilip and Sanket Mohapatra. 2009. Revised Outlook for Remittance Flows 2009-2011: Remittances Expected to Fall by 5 to 8 percent in 2009. World Bank Migration and Development Brief 9, March 23, 2009. Available Online. Safran, William. 1991. Diasporas in Modern Societies: Myths of Homeland and Return. Diaspora 1 (1): 83–99. Sarkisyan, Gagik, Konstantin Khudaverdyan, and Karen Uzbashyan. 1998. Potomki Hayka [The Descendants of Hayk]. Armenian Encyclopedia. Yerevan: OOO Encyclopedia - Armenia. Ter-Sarkisyants, Alla. 1998. Armyane: Istoriya i Etnokulturnye Tradicii [Armenians: History and Ethnocultural Traditions]. Moscow: Vostochnaya Literatura, Russian Academy of Sciences. Toumanoff, Cyril. 1988. Bagratids. Encyclopedia Iranica. Available Online. Tsagarousianou, Roza. 2004. Rethinking the Concept of Diaspora: Mobility, Connectivity and Communication in a Globalised World. Westminster Papers in Communication and Culture 1 (1): 52–66. Aleksandr V. Gevorkyan, PhD, is Assistant Professor of Economics at The Peter J. Tobin College of Business at St. John's University. Dr. Gevorkyan is the author of Innovative Fiscal Policy and Economic Development in Transition Economies (Routledge, 2011) and co-editor of Financial Deepening and Post-Crisis Development in Emerging Markets: Current Perils and Future Dawns (Palgrave Macmillan, 2016).